Chennai Port has set another landmark achievement by handling 72, 000 Tonnes of Crude Oil in 19 hours on 02.01.2019, from the vessel m.v. SCF URAL carrying 1,44,000 Tonnes through the newly laid 42” diameter pipeline from Bharathi Dock (BD-III) to CPCL refinery in Manali. Operation of newly laid 42” pipeline by CPCL has increased the average pumping rate from 3800 Tonnes/hr. of Crude Oil as against 2300 Tonnes/hr. for the old dia. Pipeline. This significant handling of the Crude Oil replicates the ports capability and the confidence among the trade. Shri. 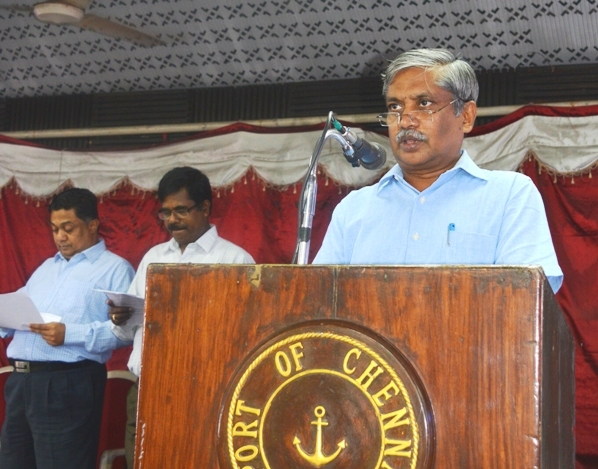 P Raveendran, Chairman, Chennai Port Trust appreciated M/s. Chennai Petroleum Corporation Limited (CPCL), in taking this 42”pipeline project and expressed that handling through 42”pipeline will cut-down the handling cost and time.